By buying this product you'll earn up to 339 Rewards points. 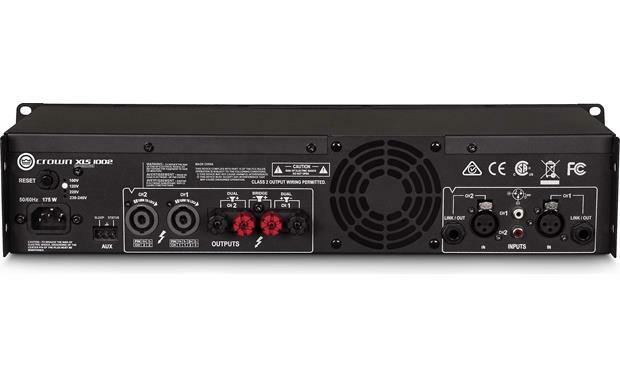 Crown's XLS 1002 2-channel power amplifier can put out 215 watts per channel at 8 ohms, 350 watts at 4 ohms, 550 at 2 ohms, and up to 1100 watts when bridged — enough to cleanly power a wide variety of loudspeakers. This highly efficient Class D amp employs internal heat sinks with forced-air cooling to keep the internal temperature under control, and an automated rear fan that kicks in when you're pushing the amp hard. The amp's front panel offers independent gain control knobs, LED level/clip indicators, an on/off switch, LCD screen, and three menu control buttons. The LCD screen lets you configure the amp mode, set the limiter, and adjust the crossover configuration with the push of a few buttons. The rear of the XLS 1002 is a veritable treasure trove of connections — balanced XLR, 1/4", and RCA inputs, so you can get creative with your audio sources. The 1/4" line-level outputs let you add more amps to the mix. You'll find binding posts and Neutrik Speakon® outputs for the speakers, plus a built-in circuit breaker to protect against overload. 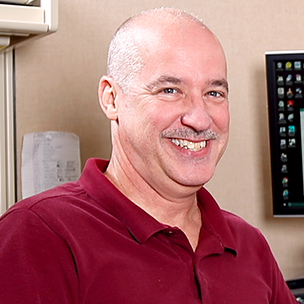 Are you working with subwoofers, multiple speakers, or floor monitors? You can maximize the XLS 1002's energy by employing its integrated PureBand Crossover System to tailor the sound to fit each of your speakers. It lets you choose the crossover point just about anywhere between 50 and 3000 Hz, and gives you steep 24 dB/octave slopes for seamless transitions between different drivers. Your choice of three different crossover modes, high-pass, low-pass, and bandpass, let you configure your system to nearly any situation or speaker setup, whether you need big-time bass or just need to hear the vocals clearly above the thrash and thunder. And the settings can all be adjusted right from the amp's front panel. Clean, powerful, and neutral. 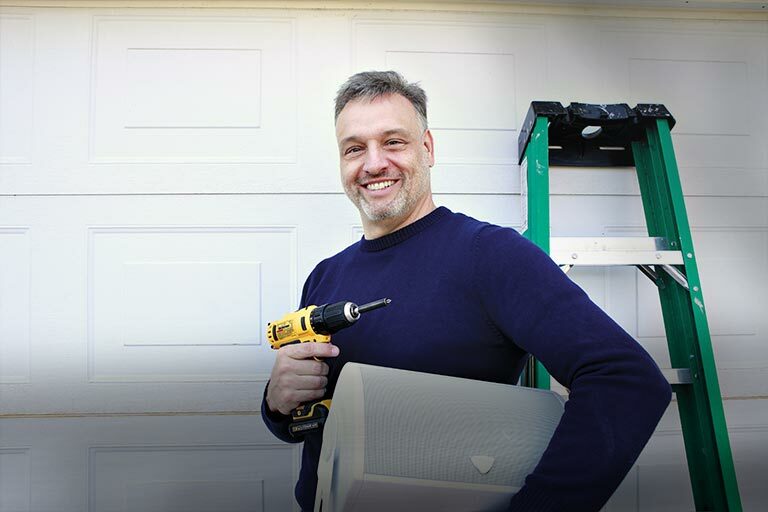 Don't be afraid to go pro-quaility class D. Tons of headroom and clean efficient design. Highly recommended! How does this perform with a Dolby Atmos set-up? Overview: Crown's new XLS DriveCore 2 series of power amplifiers feature an upgraded look with a larger display. 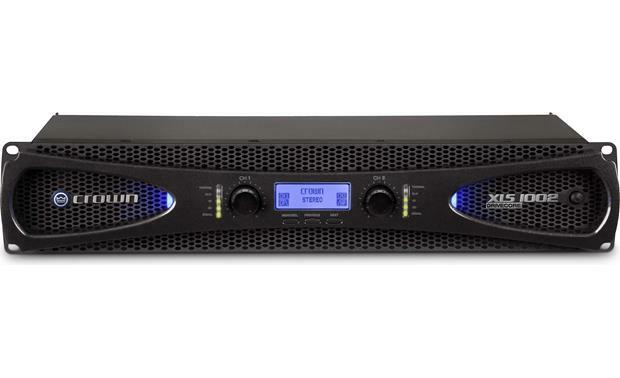 Like their predecessors, the new XLS amps are equipped with Crown's patented DriveCore technology. 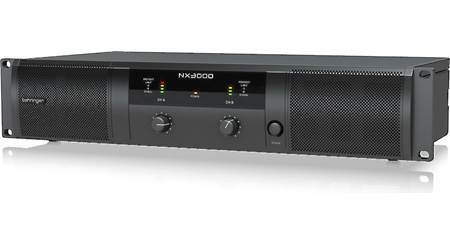 The XLS 1002 can drive your speakers with 1100 watts (at 4Ω bridged) of clean power with very low distortion. Can this Crown amplifier be connected to the Front L/R preouts of an AV receiver to boost the sound from the front speakers? If so what interconnects are needed? Basic RCA cables or something else? Yes, that's how I have mine hooked up. You can use basic RCA cables to go from the AV receiver signal out to the Crown signal in. You would then connect your speaker cables to the crown. The Crown also accepts XLR cables but your receiver probably doesn't have those. Should work great, lots of power with the Crown. This particular amp has both RCA and XLR inputs. 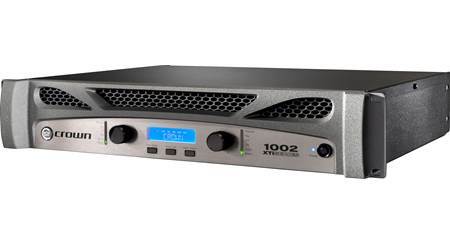 Depending on your receivers output the 1002 could boost your output on those two channels by a significant amount. Basic RCA cables will work just fine and provide you with an unbalanced input. XLR inputs will provide you with a balanced input but should be matched to an appropriate receiver or processor . Yes but I wouldn't use basic RCA. I used Shielded twisted RCA cables. Sound great. I have two JL Audio 12" subs in custom boxes that are hooked up to this amp and it sounds amazing on Atmos. The amp is turned about 3/4 of the up and it shakes the house. I have a Denon receiver, which provides enough power to the rest of my system. Step it up to the next size... yes it's more money but you need extra power to drive your Atmos speakers. I assume your hooking up your front speakers or a center speaker with the Crown XLS 1002.. I'm happy with the XLS 1002 but if I could do it over I would've went bigger Amp. No idea on an atmos system. Installed it in a 30,000 sq ft brewery taproom, and with it powering 4 speakers and a subwoofer, the place ROCKS. Do this amp have a fixed gain input so both volumed on my AVR and the Amp would be synced? You can set the gain range for the amp for the left and right channel independently. Then your AVR will control the volume from there. Will this AMP (Crown XLS 1002) go to sleep or in by pass when its not sensing a signal in?? I know there is a contact closure to make this happen but some amps can sense the line in and bypass when no signal is detected for a period of time. No. Atl least the blue light stays on. The amp will NOT go to sleep or standby when no signal is passing. The fan might stop, but the amplifier will still be "on". Apparently there is a remote turn, something like a 12V-turn on, on the Phoenix connectors on the back, but from what I've heard, it needs an adapter made by Crown that senses power voltage and not signal voltage. 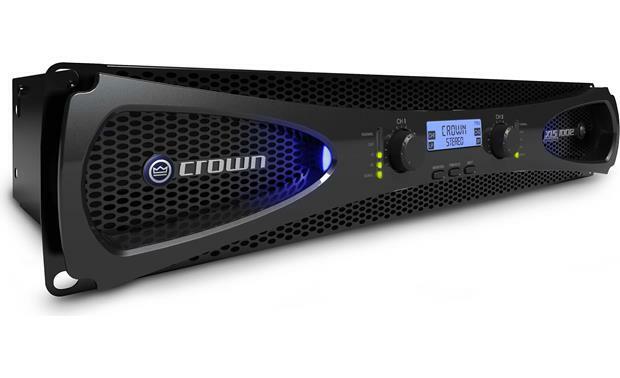 Searches related to the Crown XLS 1002 DriveCore™ 2 Series power amplifier — 215W x 2 at 8 ohms, 1,100W x 1 at 4 ohms bridged.